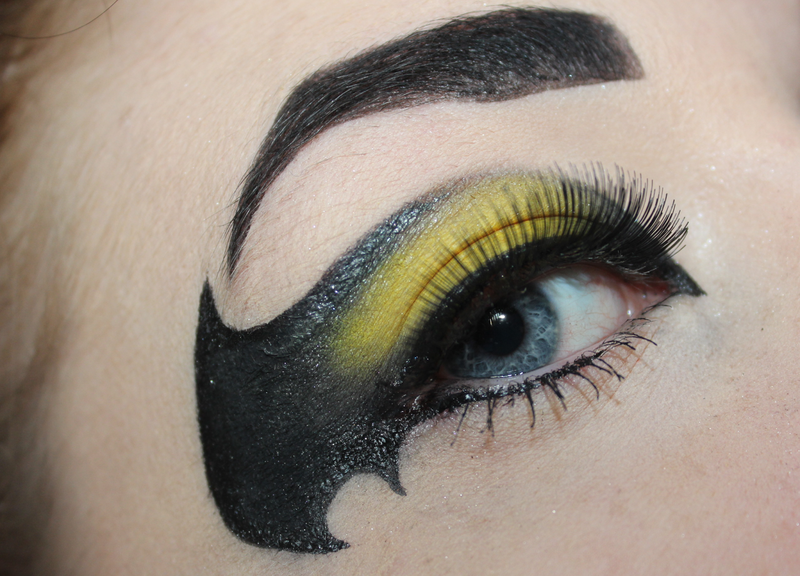 I love the Batman films, and after a request what a better way to kick of my second makeup look. My first on was the Hulk. This one was a tricky one, and you will see why! 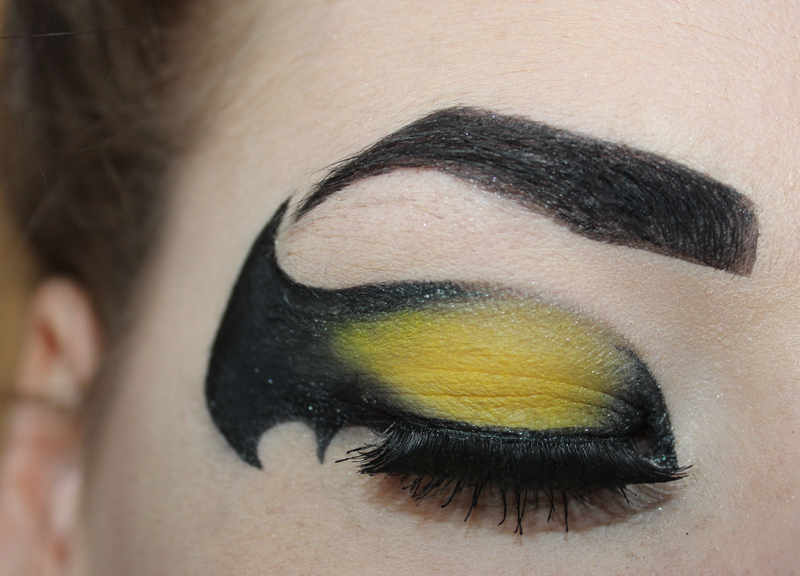 First off I marker out my line of the wing with a black pencil liner, I used Urban Decay 24/7, but any one will do. Then over the top I used Urban Decay Waterproof Liquid Liner, which has a gloss to it once dried. 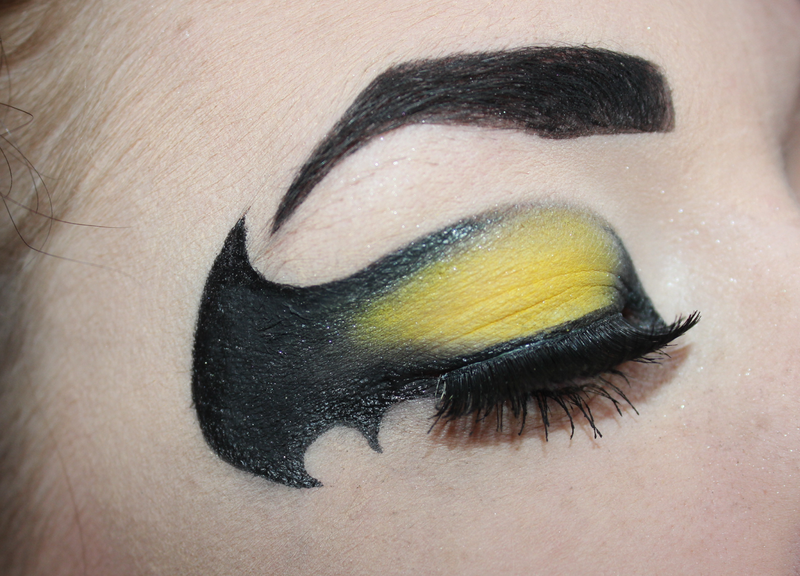 I then patted on Blackout, a matte black from Urban Decay over the top, filling in most of the shape. Then with the liquid liner, I emphasized the corner of my eye with a thick pointed line. 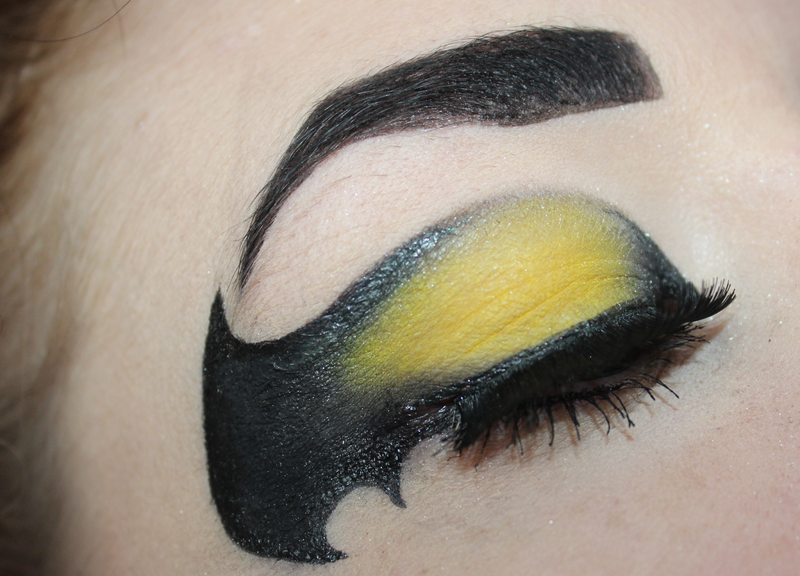 I then applied the yellow shade from the Sleek Ultra Matte Brights palette over the main area of the lid. With a silver - this is where it went very messy - I blended in the yellow and the black shadow. The shimmer seemed to get everywhere, and didn't seem to stick to the lid. Alas, it still worked and I think it blended in well. The last few things I did involved liner to top lash line with the liquid liner, and again on the bottom, but not going all the way. With Rimmel's Scandaleyes Liquid Eyeliner I filled in the brow to make it appear more thicker and sharp. I then popped on some lashes! Does it remind you of batman? 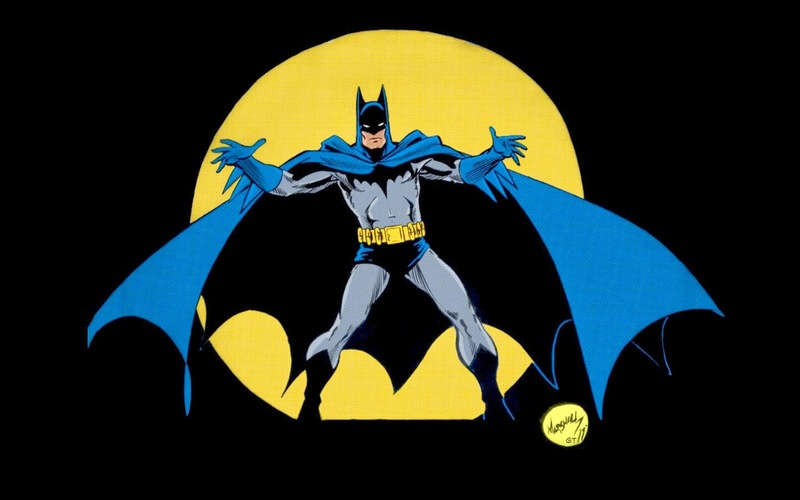 What superhero look would you like to see? You are so talented, this is immense. The shape is so perfect!